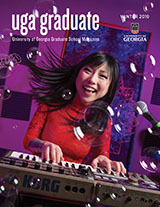 The following links provide information on the privileges that may accrue to faculty who retire from the University of Georgia. Retired UGA faculty/staff who already have a MyID and e-mail account need to do nothing to retain their accounts.Retired UGA faculty/staff may obtain a MyID and e-mail account by completing and submitting an application form to EITS. Forms are available from and should be returned to either the EITS Help Desk. Requestors should supply their University ID number and their date of retirement so eligibility for retirement benefits can be verified. Access procedures for retired faculty/staff to EITS computing services other than e-mail are usage dependent. Access for usage which is a continuation of scholarly research activities are to be requested through the retiree’s home department account manager. Access for other purposes must be requested under the procedures established for clients not directly affiliated with the University.